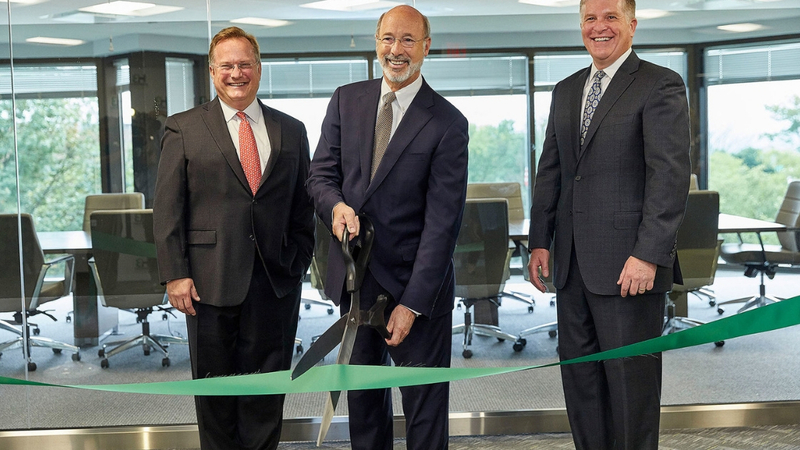 On September 12th Governor Tom Wolf (D) participated in the ribbon cutting at Harmony Biosciences new headquarters in Plymouth Meeting. The 15,651 square foot headquarters is located at 630 W. Germantown Pike. Harmony Biosciences will initially employ 42 staff members at the headquarters and has plans to significantly expand its workforce over the coming years. Harmony Biosciences is a private biopharmaceutical company dedicated to developing and commercializing novel treatment options for people living with rare diseases. Pictured above (left to right) are Chris Molineaux, President and CEO of Life Sciences PA, Governor Wolf and John C. Jacobs, President and CEO of Harmony Biosciences. Harmony previously received Life Sciences Pennsylvania’s 2017 Deal of the Year award recognizing the company’s efforts in raising the largest private equity investment in the biotech industry in Pennsylvania. 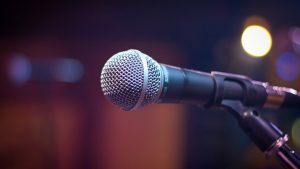 The company is currently focusing on the registration and commercialization of its investigational product for the treatment of narcolepsy.